We’ve been quite lucky on the weather, so far on the trip, so we knew we were due for a change. Today was the day. 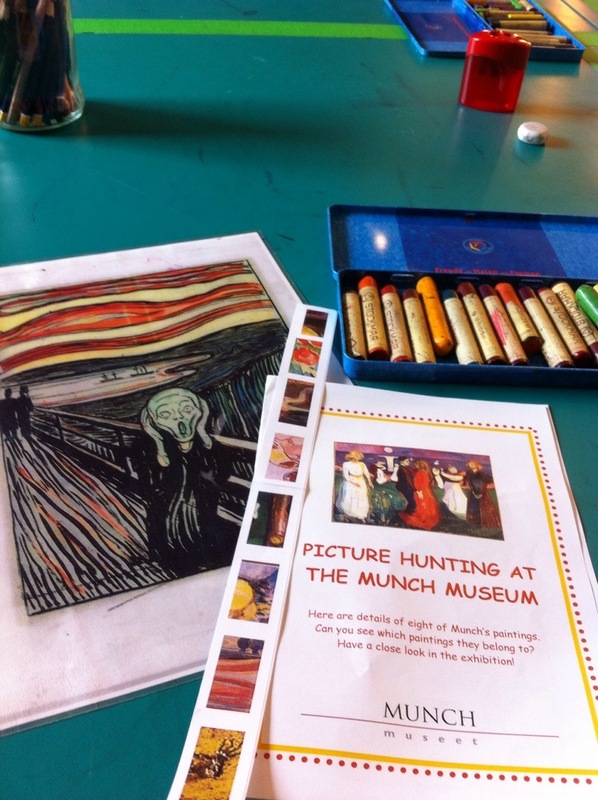 We spent a pleasant morning at the Munch Museum. Known for “The Scream, ” Edvard Munch, painted thousands of other works, and the collection here in Oslo is so huge, they have to change the exhibitions a few times a year, to show it all. 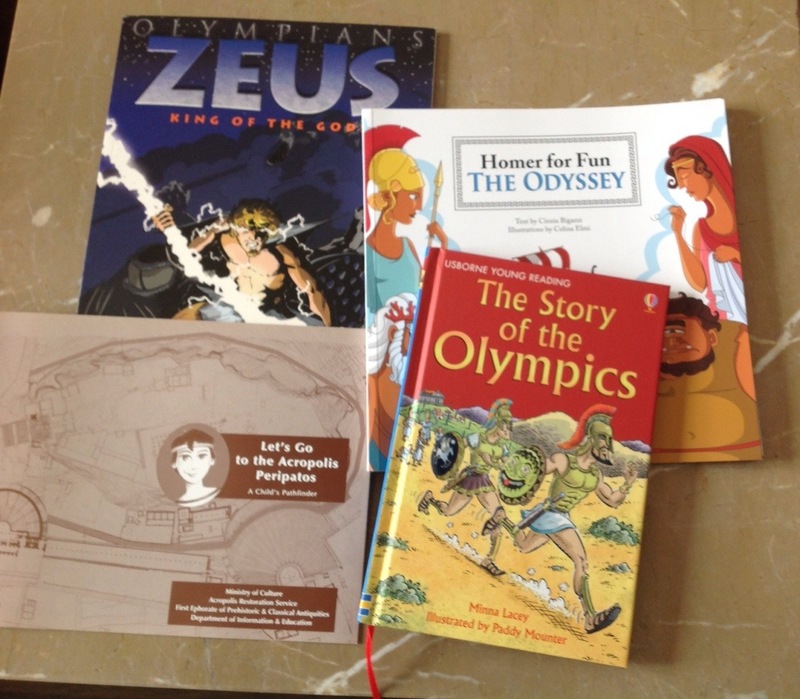 The museum had an interesting kids activity. 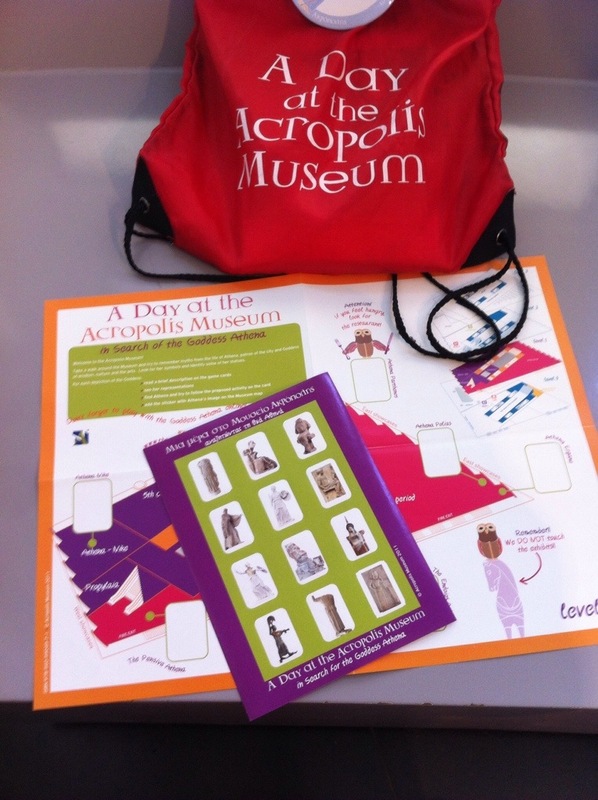 They provided each child with a map of the museum and a sticker page with extreme close ups of eight works of art in the collection. The goal was to identify the paintings that matched the close ups, and place them in the proper rooms of the museum map. We parents tried, too, and it was a challenging assignment. We all managed seven out of eight correctly. After viewing the exhibits, adults and children, both, were encouraged to try their hand at creating or copying a work of art. Today’s school lesson? Art! Leaving the museum, we headed to the Norwegian Royal Palace. Since we had not pre-purchased entry, we had to turn up early for any remaining open spots on the English language tour. While waiting in the ticket line, the skies began to darken. The ticket seller had a small canopy, but the waiting area was exposed and the downpour began. We were thoroughly soaked by the time we purchased our tickets. 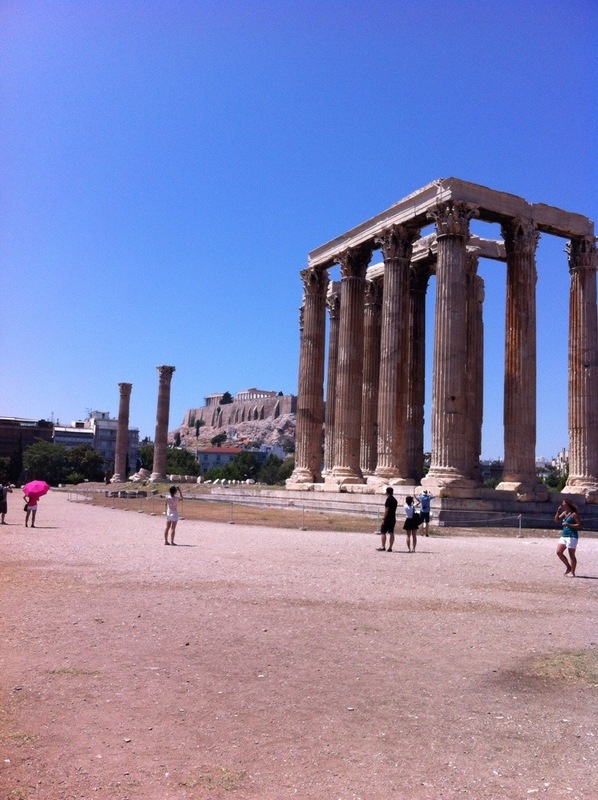 The tour guide provided everyone plastic shoe covers, so we wouldn’t drip on the palace floors. The palace was lovely, though smaller than many other European royal residences. We had hopes that the rain would end by the time we left, but luck was not with us today. We hiked back through the rain to the train station and returned to the apartment for towels and dry clothes. Spending the summer in the far North has presented some challenges. We arrived in England in mid-June, and then Scandinavia right at the summer equinox, the longest day of the year. Our days have been full of sunlight. The sun rises around 4:30 AM and is setting close to 11:30 PM. On the day of our arrival in Norway, the newspaper reported that we should expect 21 hours of daylight that day. While we have enjoyed the pleasant sunshine and mild temperatures, it is making sleep challenging! Even if we manage to fall asleep at twilight, we are up again when the sun rises. A good set of blackout drapes would really make my day (night?). 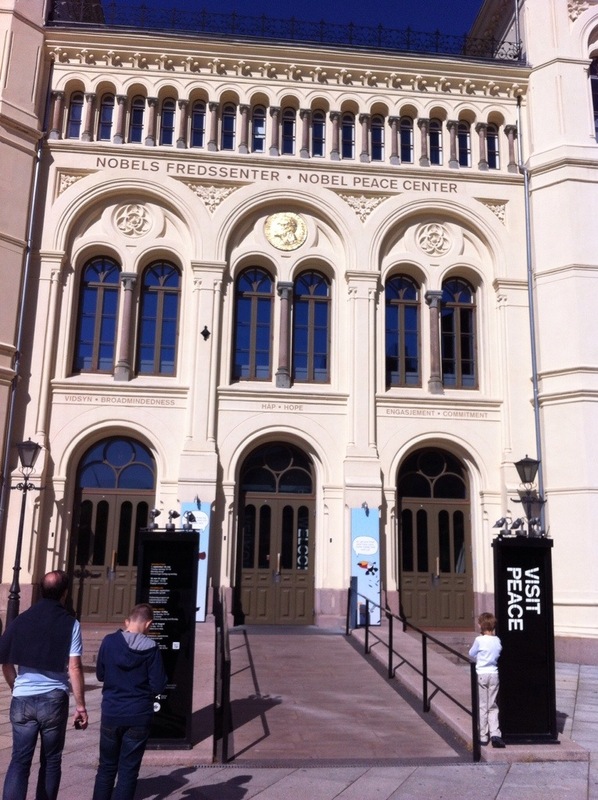 As we were out and about today, we went to the Nobel Peace Center. The museum covers the history of the peace prize, Alfred Nobel, and has a feature on every winner since the prize began. 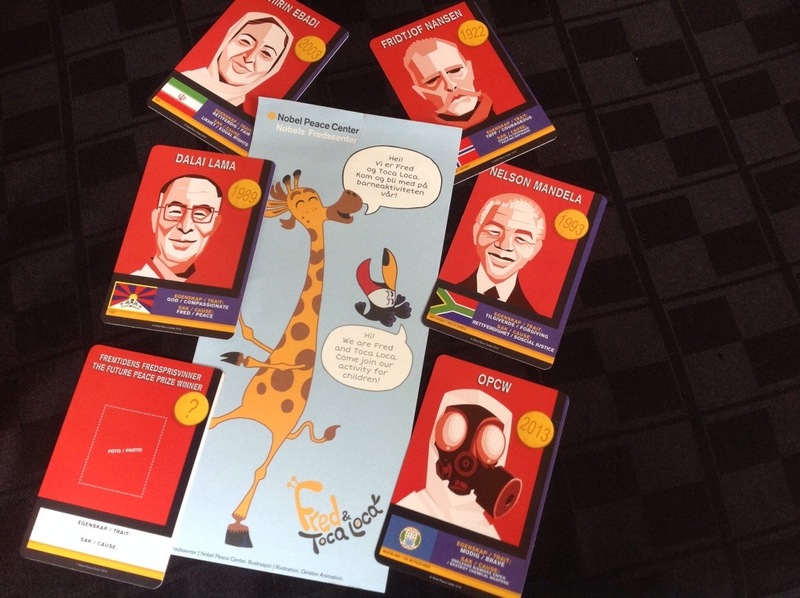 The children’s trail through the museum included trading cards of peace prize winners and suggestions on how children can help make the world a more peaceful place. Are we done with Vikings, yet? We continued on to the Norsk Folkemuseum, an outdoor living history museum, where we saw farm and town life from 1200 to 1950 AD. 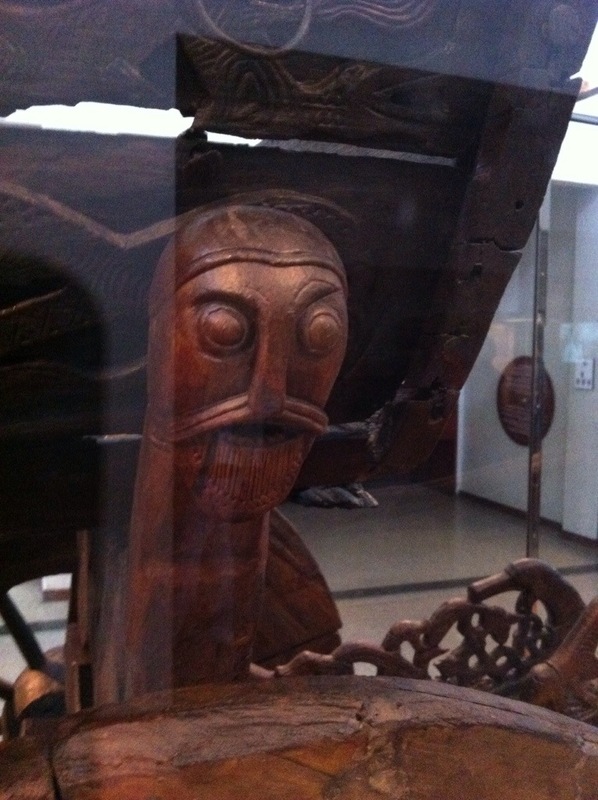 It’s highlight was the Stave Church from 1200, a Christian church, with Viking decorative elements. Boy groaned. We left Denmark behind, sailing on a ferry past Sweden towards Norway, through the fjords. Inspired by the scenery, we spent some time reading Pippi Longstocking and considering pirates. This week we are tackling science. Before we left the US, I picked up a “Science Experiments On The Go” kit from Thames and Kosmos. After Boy’s shopping spree in Legoland Denmark, we are a bit short on backpack space, so I need to use up this kit and give us some space back. 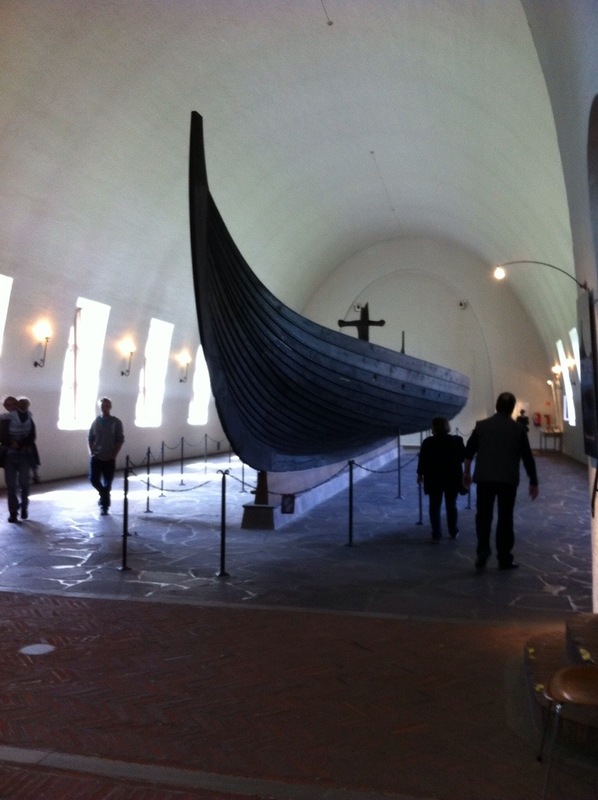 We are spending the next few days in Oslo, Norway, so, I also expect us to finish our Viking studies.